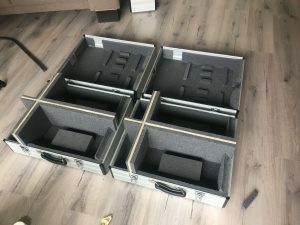 – To move the Delfia1* to different locations the Delft University of Technology asked for a high quality and sturdy case. 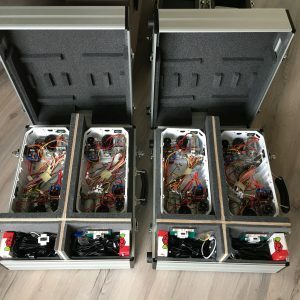 I designed and fabricated these Flight cases to fit multiple vessels at once. 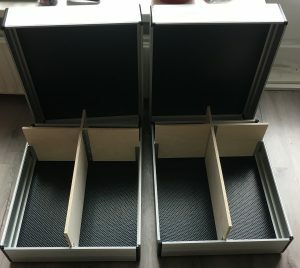 I designed two different cases. 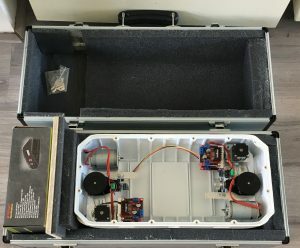 The first case contains one vessel including a space for the battery charger. The other two cases contains two vessels at once. 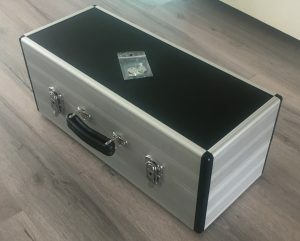 The cases are made from aluminium combined with plastic and wooden inserts. The inside of the cases are fitted with foam to make sure the vessel cannot move and will stay in one piece during transportation. 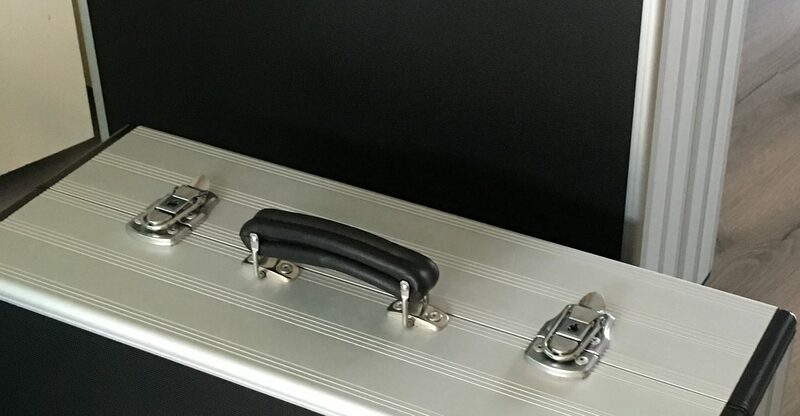 Off course the outside of the cases have hinges with a lock, bumpers, and a handle. 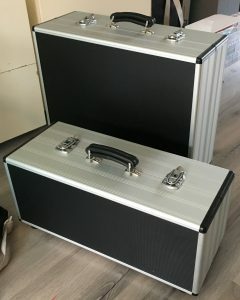 The two types of flight cases made.